Property management for condominiums in Massachusetts is no small feat. They must hold many professional talents and characteristics to get the job completed well. J. Butler employs some of the best property managers in the area, and there are a few key signs we pay attention to ensure we only hire great professionals. Property managers are hired to help maintain and increase property value over time through the many services they offer. It is essential for a skilled professional to behind the controls to ensure every project is completed, concerns are addressed, and questions are answered. Keeping up-to-date with local laws and regulations regarding property ownership, landlords, and unit owners is also a must. Not every person out there is equipped to deal with the many situations a property manager will face on a daily basis. From diffusing situations with frustrated unit owners to negotiating vendor prices, property managers must be able to address these issues and continue building positive relationships all while remaining patient and even temperament. Unit owners want the comfort of knowing they can talk to a staff member if any questions or emergency or non-emergency issues are to arise. Your property manager should provide accessibility, as well as clear and concise responses to these concerns both verbally and in written word to ensure every owner feels heard and respected. There are many moving parents of property management, and being able to juggle all of these elements is one of the most difficult tasks of all. This includes safety concerns, maintenance repairs, laws, regulations, and other concerns similar. Your property manager should be prepared, aware, and already working towards solutions.  If you’re still searching for the perfect property manager to lead and provide for the unit owners in your condominium, J. Butler has the team and services for you. With more questions, please contact our team today by calling (978) 694-9004.